Samsung’s first smartphone with triple rear cameras, the Galaxy A7, is all set to be launched in India tomorrow. Samsung Mobile India recently tweeted that the Galaxy A7 will be launched in the country at an event on September 25. 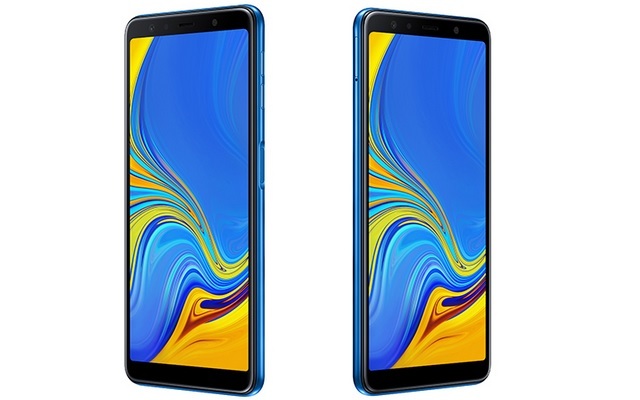 The Galaxy A7, which was unveiled last week, flaunts a dual glass design with a side mounted fingerprint sensor and brings a triple camera system to the mid-range segment. The Galaxy A7 packs a 6-inch Super AMOLED Infinity display and is powered by an octa-core processor clocked at 2.0GHz. However, Samsung has not specified whether the device packs a Snapdragon processor or an Exynos SoC, and also, the processor powering the device will vary depending on the market. We will have to wait and find out which SoC will come to India. The Galaxy A7 packs 4/6 GB of RAM and 64GB/128 GB of internal storage which can be expanded up to 512GB via a microSD card. The device packs a 3,300 mAh battery and runs Android 8.0 Oreo with Samsung’s Experience UI. Coming to the Galaxy A7’s standout feature, the device packs a triple rear camera setup, which is a first for Samsung. The smartphone’s imaging hardware consists of a 24MP (F1.70) primary sensor, an 8MP (F2.4) Ultra-Wide angle lens with 120-degree field of view and a third 5MP (F2.0) lens to capture depth information. The hardware is backed by software features such as Live Focus to control the depth of field effect and adjust bokeh variables, and AI Scene Optimizer functionality which allows the camera to automatically identify the subject, tweak the color profile, contrast and brightness values to deliver superior quality images. 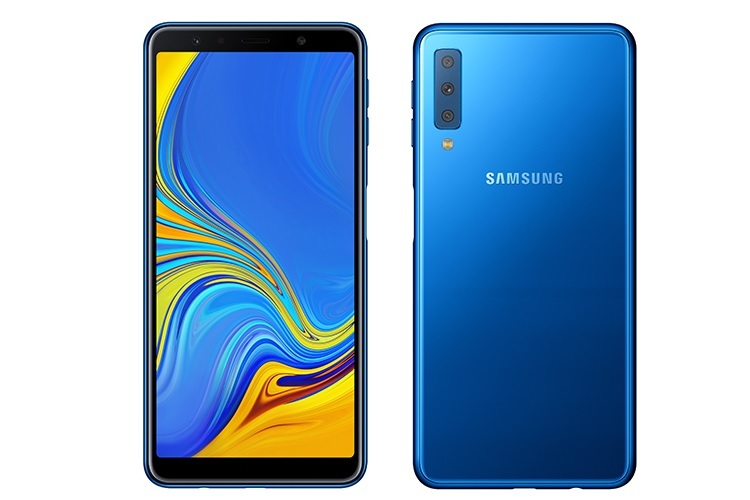 The Galaxy A7 comes blue, black, gold and pink color options and will be available in select European and Asian markets in the fall season, however, Samsung has not revealed the pricing details of the device. We expect it to be priced around the Rs 25,000 – Rs 30,000 price range.